If you are looking for an original outfit, then be sure to use suede. This fabric makes you look unique and special. Suede is a perfect choice for those who want to show off their uniqueness. Many ladies are afraid of wearing it, as they really don't know how to make suede look awesome on them. Personally, I find this trend a little odd. Why? I've always thought it's Winter fabric. Anyway, we are here today to see awesome ways how to use this delicate fabric in your everyday life. If you are unsure how to make it look great on you, then I am here to share with you my favorite Polyvore sets. You are about to see awesome ways how to incorporate suede into your everyday wardrobe. All in all, read on to find out more. Opt for suede cream-brown mini shorts and pair them with a pastel cropped T-shirt sweater. 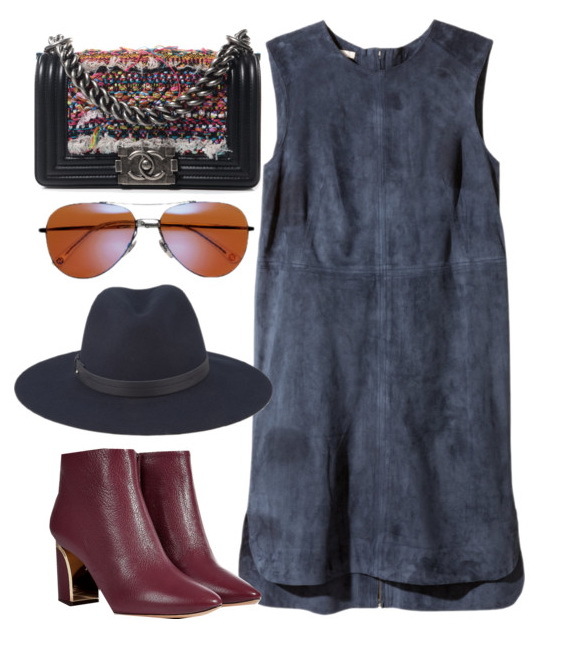 Complete the look by adding color-blocking chunky sandals and rounded sunglasses. 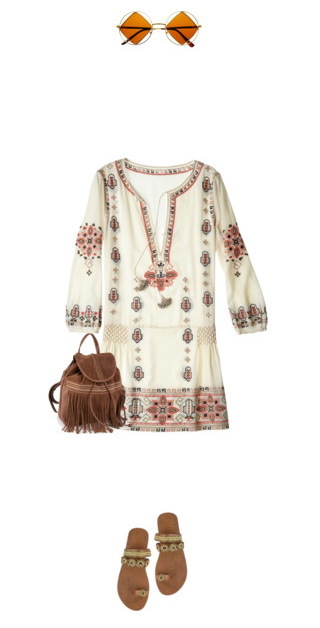 The funny thing is that suede automatically makes us think of bohemian style. In real life, you can use is as you wish. In this little compilation are gathered different looks created with suede fabric garments and accessories. Believe me, once you know how to wear suede, you can create so many interesting looks. This fabric allows you to form vintage and timeless outfits that are both bold and statement, individual and natural. Anyway, I think it's time to see everything by yourself.